We are part of the Vale Federation of Special Schools. Harding House is the Post-16 Provision of Stocklake Park School and is in the centre of Aylesbury. Harding House is within walking distance of many local community facilities, close to other local secondary schools and with good local transport links. Harding House caters for students aged 16—19 with a wide range of needs. Students come into the Post-16 Provision from local, and out of county, SLD, MLD, specialist and mainstream schools. The staff team currently includes Head, Teachers, Learning Support Assistants, Administrator and lunch-time supervisors. There is also an input from other professionals to support students when appropriate – Connexions, Physiotherapists, Speech and Language Therapists, Social Services (Children’s and Adult Disability Teams), residential providers and employers. Some services are based at the Stocklake Park site. Teaching groups allow for enhanced learning opportunities and may subdivide depending on the activity. Teaching staff will attend Annual Reviews, transition meetings, interviews, etc. and be the primary contact for home-school communication. Our new student intake usually commences in September, but mid year applications will be considered. After initial transition, students usually begin their Post-16 programme in the Gladstone Group and undertake an induction programme. The Walton and Harding Groups cater for Year 13 and 14 students, with increased emphasis on vocational skills, functional key skills and transition to post school provision. The Foundation Learning Curriculum at Harding House is specifically designed for young adults with a range of learning difficulties, as they prepare to leave school and enter the adult community. Teaching programmes engage students in structured learning and are personalised with identified progression routes. At Harding House we focus on delivering functional literacy and numeracy to support independence in the community. Students continue to work on core skills – Communication, Number, I.C.T and Personal Skills, but there is an increasing emphasis on the skills and knowledge and understanding that students will need for successful transition into their adult life and local communities. This Foundation Learning Curriculum will include Functional Skills, Personal and Social Development and Work Related Learning. The curriculum at Harding House is rich and diverse. We recognise that learning can take place in many non-classroom based environments. Partnership working with other agencies is a real strength at Harding House. Personalised learning promotes the recognition of individual aspirations, talents and needs. Students have the opportunity to enrol on Step Up, our 19–25 course based at Harding House. The course is personalised to meet individual needs and aspirations, and to complement students’ College and/or community provision. Students may, for example, spend two or three days at college, and then follow a range of modules as part of the Step Up provision at Harding House. The learning focus is on applying understanding and skills in real contexts in the community, with an emphasis on vocational, employment and functional skills. Functional Skills underpin all learning programmes and learners develop and extend appropriate Communication, Numeracy, ICT, Personal and Learning Skills in all units. Referrals can be made by learners themselves, their families, local Colleges, Connexions, and Social Services. Our Harding House Student Council is made up of six students. We hold regular Harding House School Council Meetings where the views, or requests, of all students are put forward. These are then discussed and explored. Representatives are responsible for sharing the information with their peers. Members have also contributed to recruitment interviews and Federation wide questionnaires. Activities have included a decorating project, planning social events and fundraising activities. This work supports our Citizenship and Personal Development Skills curriculum. The school was last inspected by Ofsted in November 2014 and was found to be Good. 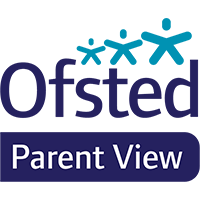 Use the link to view details of the Ofsted report. All Harding House students have the opportunity to take part in work experience placements. Work experience is usually arranged through the Bucks Education Business Partnership and Connexions Service. Work experience enriches our curriculum and offers students the opportunity to extend and develop their work related learning and functional skills in real life contexts. Placements vary according to students’ and employers’ requirements – two or three week blocks, one day a week, work shadowing, etc. Students work independently or with staff support, as appropriate. We have built up an excellent partnership with local employers and have a wide range of potential placements. We also work in partnership with the National Trust at Waddesdon Manor, where students volunteer in all areas – restaurants, the Plant Centre, cafes, shop and the house itself. We also participate in volunteering projects with Aylesbury Youth Action and Impact Bucks. Students also have the opportunity to work at the other sites within the Federation – Booker Park and Stocklake Park. Work options can include the office, school kitchen, classroom and caretaking activities. Work Experience is also accredited by O.C.R. in Practical Work Skills and Vocational Skills modules. Entry Level units in the Life and Living Skills qualification may also be used to validate students’ achievements on work experience. Students are also entered for the Bucks Silver/Gold Work Experience Award.